The struggle to liberate Palestine suffered defeat after defeat since then, with the questionable -- and failed -- Oslo peace accords, the second Intifada (2000–05) (along with the first intifada, killing 5,300 Palestinians), the invasions of Gaza (2008, 2014) (3,700 Palestinians). According to official Israeli security data, between 750,000 and 800,000 Palestinians have been arrested and imprisoned by Israel since 1967. This massacre of civilians has taken place with no sanctions against Israel, rarely even a scolding, showing the craven cowardice of the international community ruled by US hegemony. The Saudis provide petrodollar support to the Palestinian Authority and to Palestinian refugees, but boycott Hamas, which has been held under siege by Israel for a decade, given material aid only by brave western peace groups (mostly confiscated by Israel). Only Iran has dared to provide military support to Palestinians through Hezbollah in Lebanon. This has left Iran as the victim of unceasing boycotts and scheming by the West, as well as almost daily calls to invade Iran. There is some light on the horizon, despite Arab hostility to Iran and timidity among peace campaigners in the West to openly support Iran. The UN Economic and Social Commission for Western Asia (ESCWA) issued a report in March 2017 calling Israel an apartheid state, recalling the 1975 UN resolution. • governments to “support boycott, divestment and sanctions activities”. • a comprehensive investigation by the International Criminal Court (ICC) of the situation in Israel. ICC Prosecutor Fatou Bensouda had already opened an investigation on Israel’s 2014 bombing of Gaza and on the illegal settlements in the West Bank. • ‘criminal prosecutions of Israeli officials demonstrably connected with the practices of apartheid against the Palestinian people’. Former Israeli Foreign Minister Tzipi Livni cancelled a trip to Brussels in 2017 when she was alerted that the prosecutors there might arrest her using the principle of universal jurisdiction. It is easy to convince most people in the West in a few moments of sober discussion that Israel is a criminal state and that Iran is doing vital work to support the Palestinians -- without any ulterior motive, something that Arab states, under US hegemony, have neglected to do. The prejudice of an important element of the Arab world against the Palestinians was expressed by the most subservient of Arab states. At a meeting with Jewish leaders in New York in April 2018, Saudi Crown Prince Mohammed bin Salman castigated the Palestinian leadership for rejecting opportunities for peace with Israel for decades, and said they should either start accepting peace proposals or “shut up.” Shocking as this was to hear publicly, it shows the hypocrisy of unpopular Arab leaders who are worried more about their own restive peoples, than the noble struggle of the Palestinians to protect Muslim heritage in the epicentre of the Abrahamic faith. Accusations are made against Iran, both from the imperialists and from Arab leaders, jealous of Iran's Islamic revolution, its ability to resist US invasion -- both military and cultural -- and western boycotts and financial pressures. A term 'the Shia crescent' was coined by western analysts to suggest that Iran wants to export Shiism and revolution to the Middle East and wield political power along the lines of the imperialist West. Iran threatens no country nor does it try to direct political activity of others. The same specious claims were used against the earlier bete-noire of imperialism, the Soviet Union, which, in contrast to the US, did not engage in coups and election interference in dozens of countries since the end of WWII. Such claims are a mere distraction from the aggressive agenda of imperialism to control the world. 2) Do you believe the recent events happening in the Middle East will lead to the new world order? Only when Jewish Americans decisively turn against the idea of Israel as a 'Jewish state', which by definition violates international norms, will there be a resolution of the strife in the Middle East. 3) The ongoing wars in the Middle East have been called proxy war. What is the future form and method of war in our region? What would be the most important element that would reunify the nations in the region and would defeat the foreign and tyranny governments? As the internet and social media continue to unite the world, public opinion is becoming more important, especially on such burning issues as Israel's flagrant atrocities and plans for total occupation of all Palestinian lands, not to mention long term plans for further expansion. It is a 'Zionist crescent' that threatens the Middle East, not a Shia one. Once public opinion against Israel becomes strong, governments in the West will, one by one, stand up for social justice. The change must come from the outside, as Israel only becomes more ruthless and racist over time. 'Good' Jews are leaving Israel, disgusted with their helplessness as they watch their government escalate its atrocities. Only when others join Iran in principled support of Palestine and use economic sanctions and public condemnation against Israel, as happened in the struggle against South African Apartheid in the 1980s, will this peaceful 'warfare' triumph against Israel's unparalleled 'hard power'. Despite the withdrawal of the United States from the JCPOA nuclear agreement, Iran is likely to be an increasingly influential player in Eurasia. Apart from an ability to be very pragmatic in foreign policy, Iran is seen as useful to some other major Eurasian countries. Russia has grown more reliable as an ally, itself, under intense US pressure to accede to the US world order. 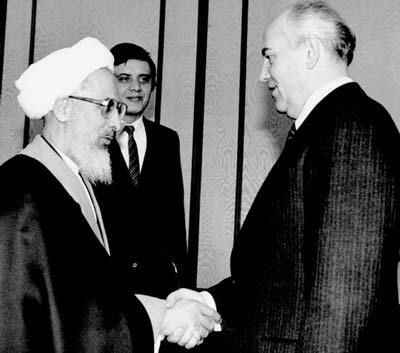 Russia sees Iran as assisting its Eurasia power ambitions. Iran has good relations with all its neighbours, and along with Russia and China, is quietly pursuing a policy of reconciliation in Afghanistan. There can be no peace there until the US withdraws and ends pretensions of permanent occupation in order to control Afghanistan's wealth and pivotal position in geopolitical affairs.